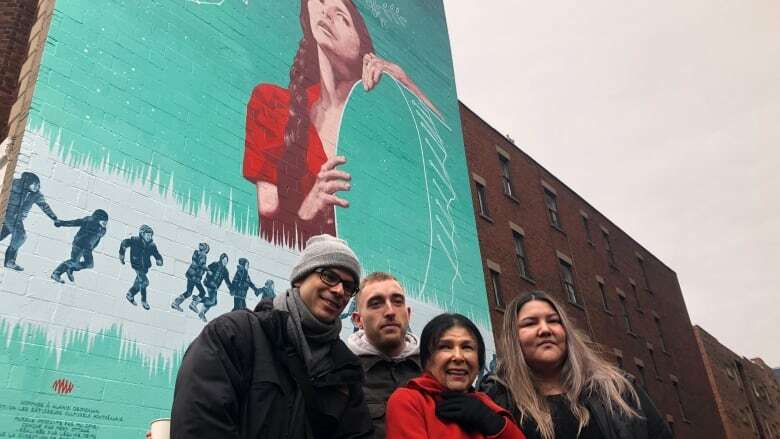 Designed by emerging Atikamekw artist Meky Ottawa, the city's newest mural pays tribute to the legendary filmmaker Alanis Obomsawin. 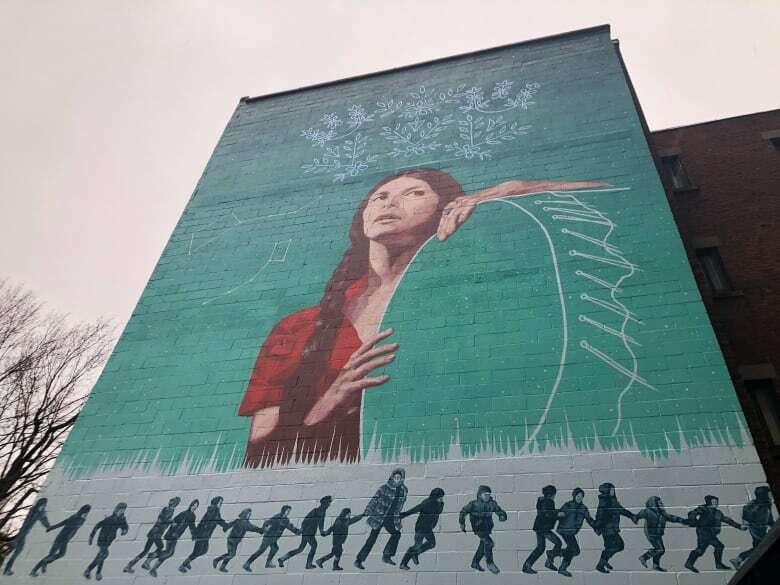 Designed by emerging Atikamekw artist Meky Ottawa, Montreal's newest mural pays tribute to the legendary Abenaki filmmaker Alanis Obomsawin. 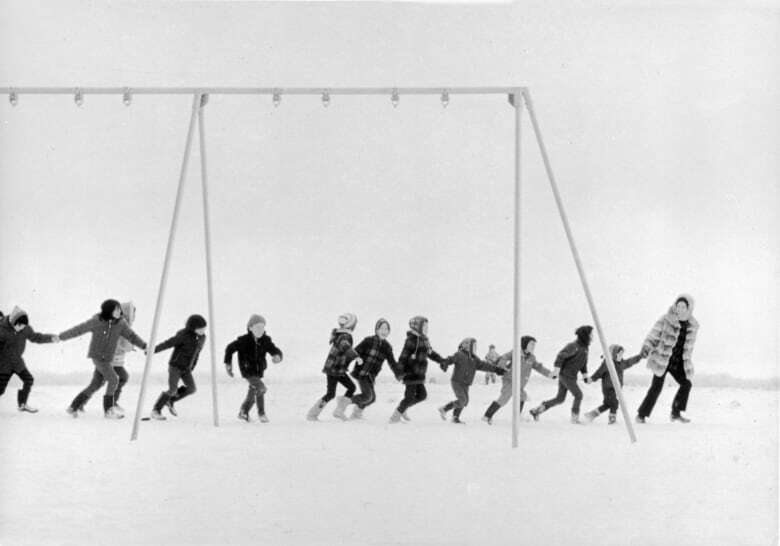 The mural is based on a photo of Obomsawin singing at the Mariposa Folk Festival in Toronto in 1970, as well as a 1968 photo of children playing in the snow during the filming of her documentary Christmas at Moose Factory. 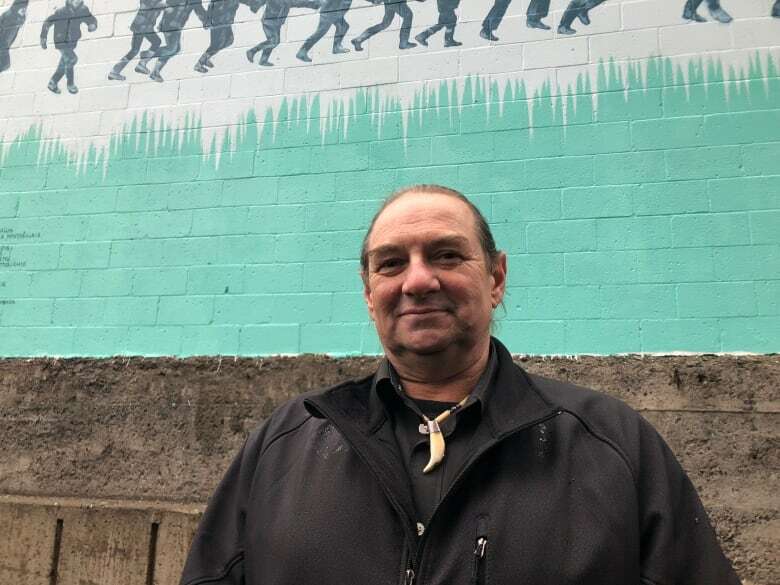 "I don't think I have the words to say what I feel," Obomsawin told CBC News at the unveiling of the mural Monday morning. "It's so extraordinary, and for me to have the children with me there is the most important [thing]." "It was a residential school," said Obomsawin. "I would go during the day [and] just tell stories in the classroom and at recreation time I would come out and run around with the kids. All those children now are all grandparents. So I hope that they get to come and see it." Ottawa, from Manawan, Que., is a multidisciplinary artist whose works spans mediums including video, illustration and installations to address issues important to Indigenous Peoples. 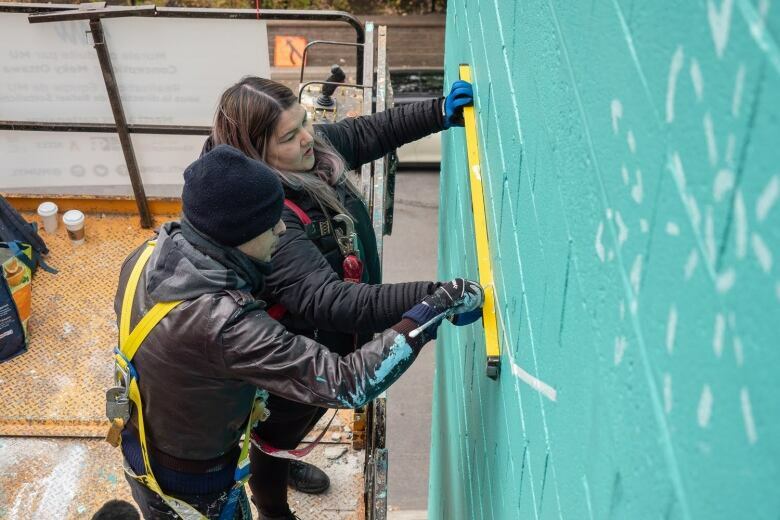 As it was her first mural piece, a team of muralists from MU, a charitable non-profit mural arts organization, directed by Rafael Sottolichio turned Ottawa's design into reality. "I think it's important for me to to share my work like this, for everybody to see. It's a good way for us to be seen," said Ottawa. The mural, which is located at the corner of Lincoln and Atwater Avenues in the heart of the Peter-McGill district, marks the 20th of MU's collection of Montreal's Great Artists, highlighting people have made outstanding contributions to the city's cultural scene. "Alanis is one of the most acclaimed Indigenous directors in the world," said Elizabeth-Ann Doyle, general and artistic director of MU. Obomsawin started her career with the National Film Board in 1967 and has directed landmark documentaries such as Incident at Restigouche and Kanehsatake: 270 Years of Resistance. 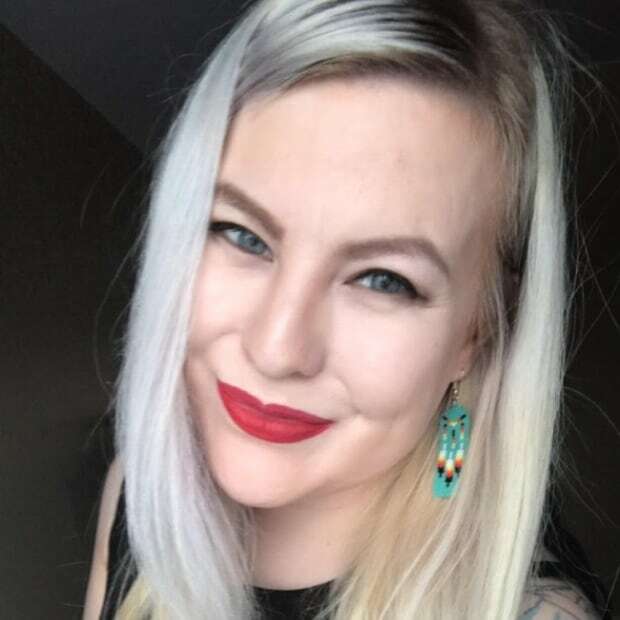 She is currently completing her 51st film focusing on the death of five-year-old Norway House, Man., child Jordan River Anderson. "I have so much passion about the work that must be done, I don't get tired of it," said Obomsawin. "I'm lucky because my health is good, and as long as I'm healthy, I'm going to be working." For the unveiling, Obomsawin was joined by a busload of community members who travelled to Montreal from Odanak. "This painting is amazing; It has captured her to no end," said Rick O'Bomsawin, chief of the Conseil des Abenakis d'Odanak. "Her life has always been about the children. I am proud to have her as a member of our nation. She is truly an inspiration to all First Nations people across Turtle Island."